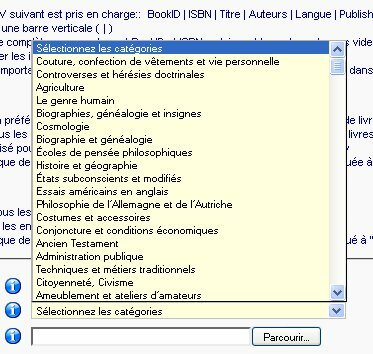 the same as the menu of the list of books? is it impossible ? categories and that this field is visible in the dropdown list ? can you write wha tversion you use for what Joomla and show screenshot how that look? Possible almost all, need more details how that will look and work. You may self change in ours component all - Book library open source product. 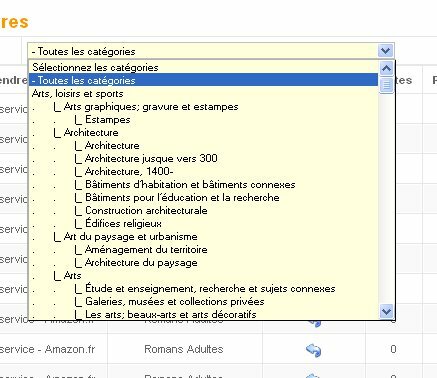 I am sorry, yes first "Tree look categories List" - that features from Book library Pro version and some time me resolve add it to Free version.